What’s good everybody! Been on a break over the holidays but now we’re back to open up another year of performance reviews. First up, the Nike Kyrie 2. Kyrie Irving is back from injury and looks like he hasn’t missed a beat. Crossovers, change in direction, pull ups, mad handles. Is it the shoes? Let’s find out! 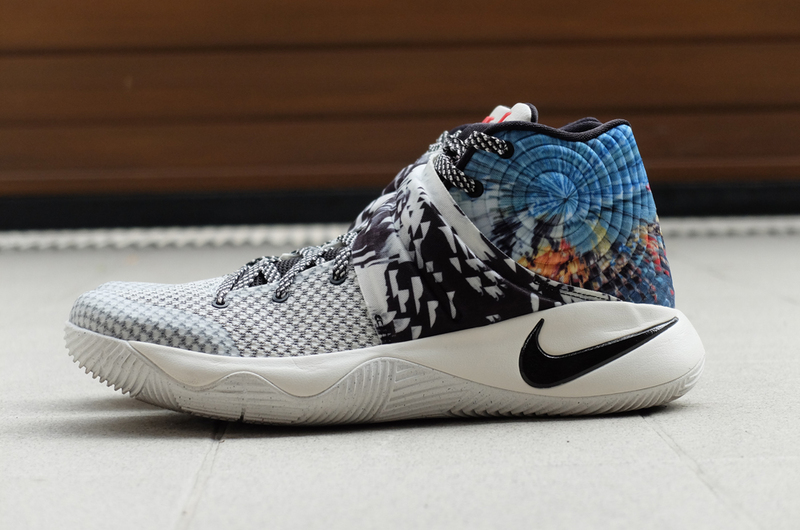 The Kyrie 1 featured a Zoom unit on the forefoot which personally I had no problem with. 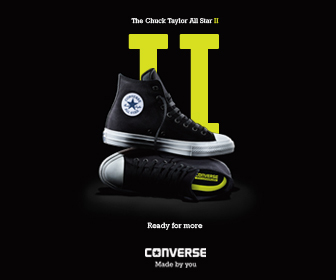 It offered low-profile cushioning with just enough bounce to it. 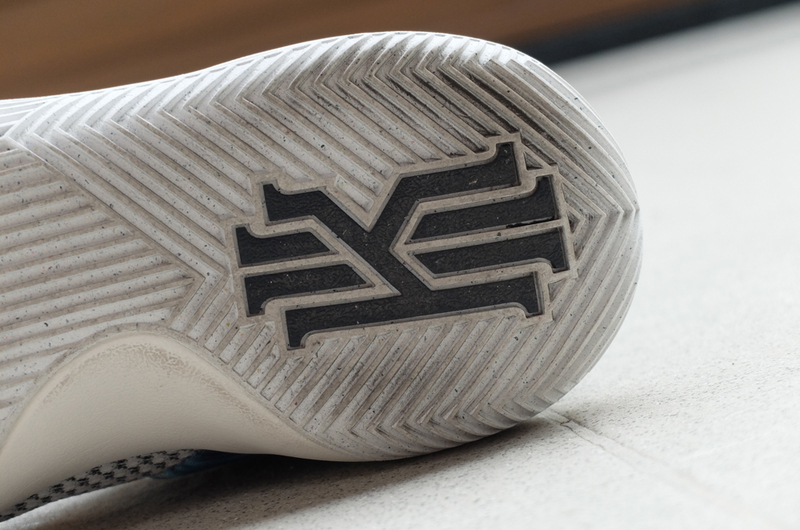 This time around, they placed the Zoom unit in the heel on the Kyrie 2 for added impact protection. It’s a similar setup but I would rather feel the Zoom on the forefoot where most of the pressure, especially for guards, goes to. Just off the box, the Kyrie 2 felt comfortable right away. I didn’t feel any bounce on the forefoot area, but I did feel something there with the rounded outsole feature. It wasn’t bouncy but it wasn’t stiff at all too. I rocked them straight to a game and I didn’t feel any pain at all on my foot. I think the Kyrie 2s need little to almost no break in time. Overall, you get great court feel without sacrificing too much on comfort. It’s perfect for players who really want to be low to the ground, but if you’re looking for something more loaded on cushioning, this may not be the best shoe for you. I had another game later that same day and I rocked the Lebron 13 which offered a world of difference in terms of cushioning feel. Just something to note. For those who had the Kyrie 1, remember how hard it was to get into the shoe the first time around? The Kyrie 2 offers a better fit than the 1 and wasn’t as narrow, but I still went half a size up for comfort. If you like it snug then you can go true to size. The fit feels great with your feet locked in really well. The midfoot strap does its job of wrapping around your ankle, keeping you glued to the footbed and locking you in around the heel area without restricting movement. 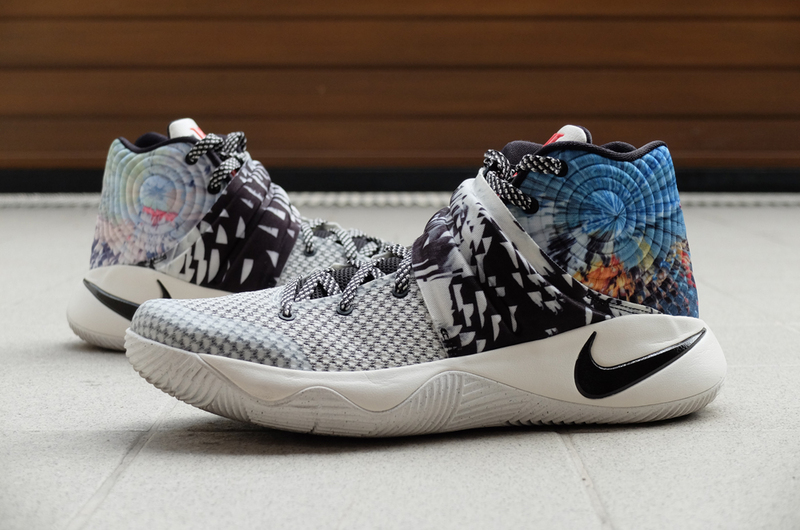 I think the Kyrie 2s nailed it with this one. Same story as the 1s. You have mesh overlays and hyperfuse backing along the upper, with a softer padded mesh material around the ankle and heel area. 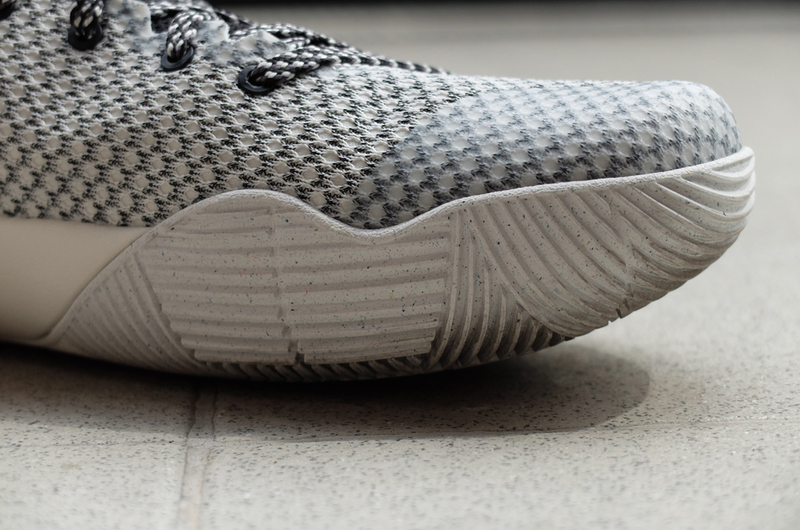 The materials don’t need much break in time but I would personally like to see softer material used along the uppers next time. Less fuse and more mesh or even knit uppers. It does do its job though, providing more structure, durability and support especially for someone with Kyrie’s style of play. The strap was a great addition and it wasn’t stiff at all, wrapping around your foot nicely. Just by looking at it you know this is the best feature of the shoe. Traction is everywhere and in all directions. 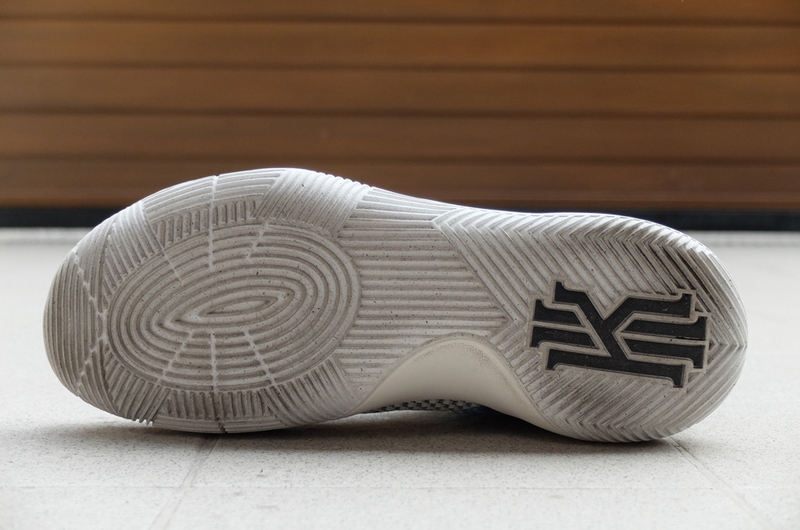 The Kyrie 2 features a rounded outsole with traction wrapping all around the forefoot area for crossovers, cuts, sudden stops, and everything in between. They provide excellent grip on clean and not so clean courts. Just put them on and you’re all set to go. Traction. Traction. Traction. Most of the support comes from the great fit and lockdown. The midfoot strap keeps your ankle and heel locked in nicely and I didn’t feel any slippage on any of my runs. 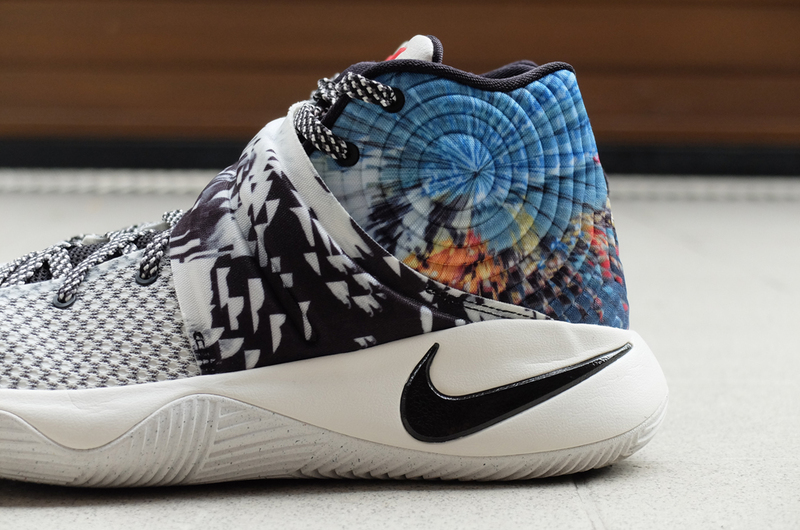 The shoe is pretty low to the ground, even with its rounded bottom, which adds to the stability and support of the Kyrie 2. The outsole is also wide enough to keep your feet planted at all times without worrying about rolling over. Overall containment is solid so I don’t think support will be a problem with this shoe at all. Overall, the Kyrie 2 is a solid shoe, with improvements done on each aspect from the 1. 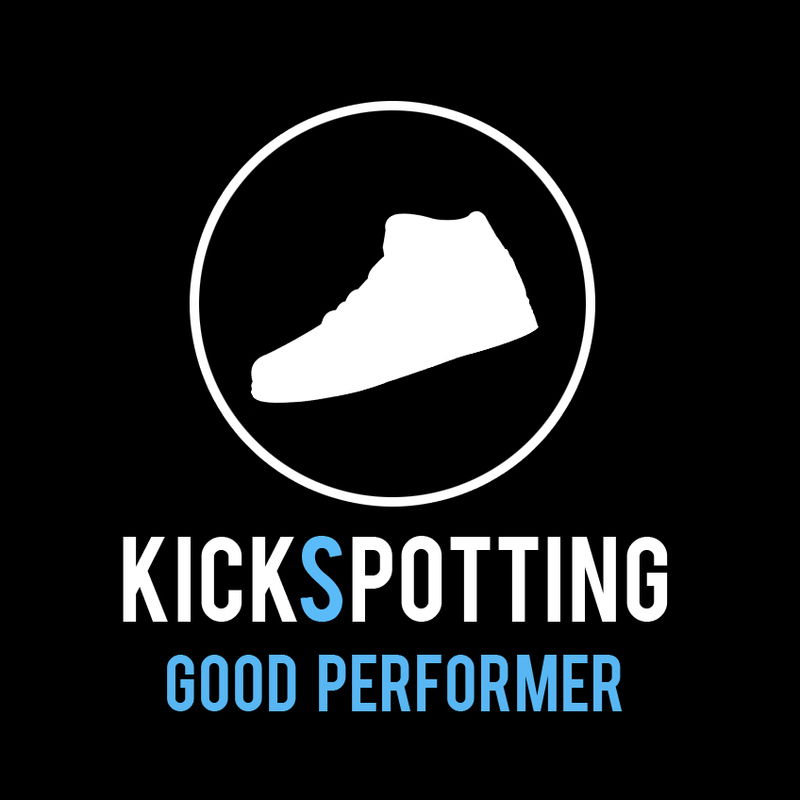 You get solid traction, fit, lockdown, plus a really good looking shoe. The low to the ground set up is perfect for guards who want a lot of court feel and responsiveness on their moves. 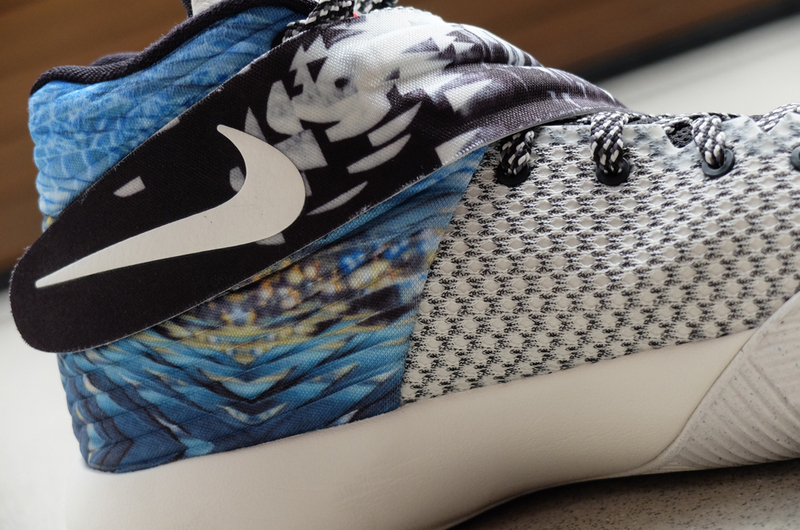 For those who love crossovers and sudden change in directions, this may be the best shoe for you. On the other hand, if you want a shoe loaded with cushioning, this may not be the ideal setup for you. 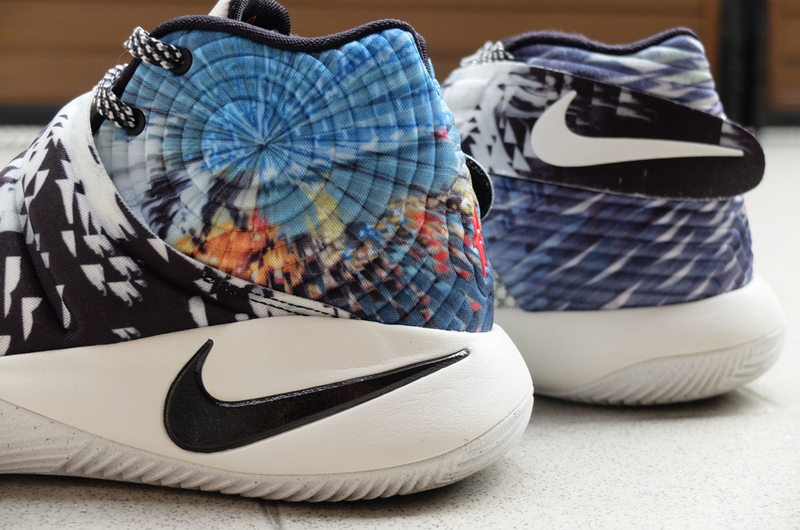 The firmness of the Kyrie 2 setup serves a purpose and it’s not always for everyone. I still loved hooping in them and I’m sure most will do too. Overall, the Kyrie 2 is a solid shoe, with improvements done on each aspect from the 1. 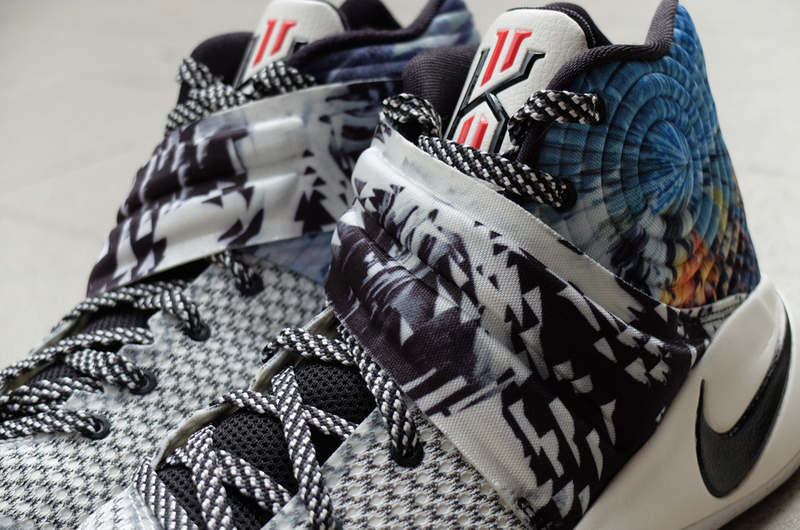 You get solid traction, fit, lockdown, plus a really good looking shoe. The low to the ground setup is perfect for guards who want a lot of court feel and responsiveness on their moves. 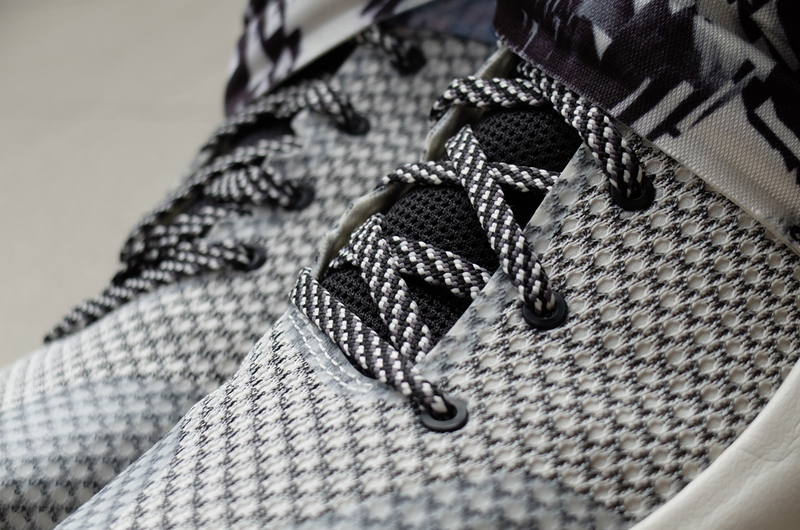 If you love crossovers and sudden change in directions, then this may be the best shoe for you. On the other hand, if you like a setup more loaded in cushioning, then this might not be the best setup for you. 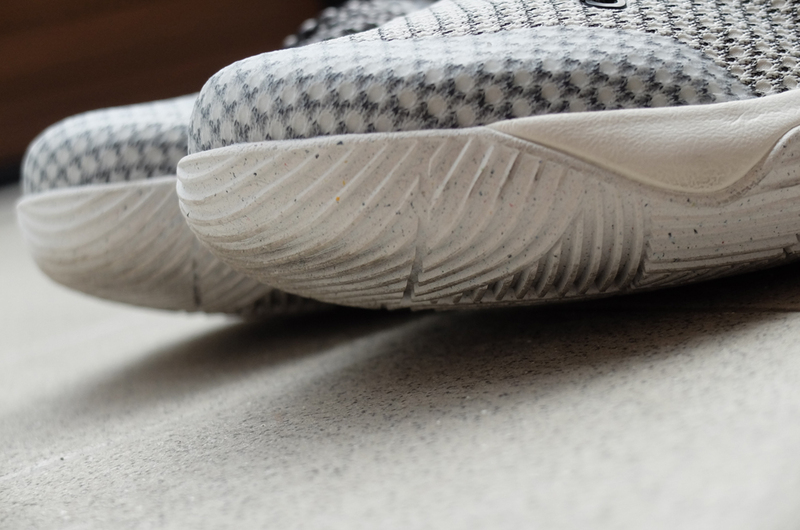 The firmness of the Kyrie 2 serves a purpose and it’s not always for everyone. Still, I enjoyed hooping in the Kyrie 2 and I think most will do too. 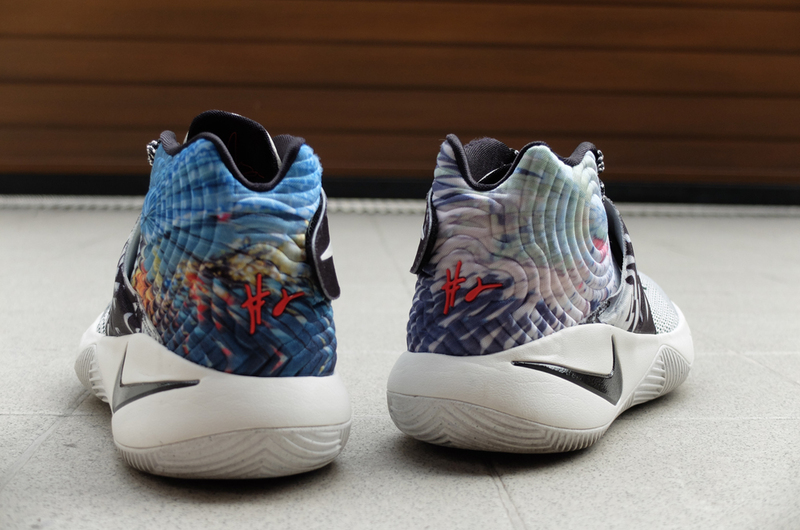 The Kyrie 2 is available at Titan and Nike retailers for P6,595. The Kyrie 2 is a fast, low to the ground shoe with solid fit and lockdown and is perfect for guards. My kyrie 2 traction was decrease very fast, i usually play outdoors 2 days a week, are the traction is not durable for outdoors?